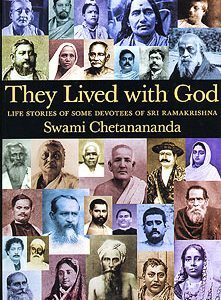 Swami Turiyananda was a devoted student of Sri Ramakrishna and a great monastic teacher in his own right. This collection of his letters to fellow monks, scholars, lay disciples, and other spiritual seekers…reflects the simplicity of his life and the depth of his understanding. 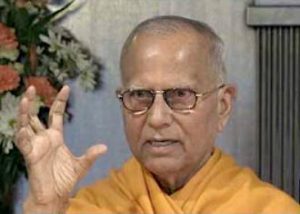 The depth of his insight transcends narrow sectarian boundaries and will be helpful to spiritual seekers of diverse backgrounds. Spiritual life is not a broad thoroughfare, but a rocky climb. 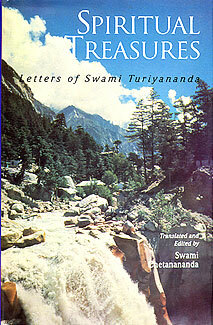 The spiritual aspirant of any tradition will find in Spiritual Treasures a reliable guide for this journey. I received your letter yesterday. I am sorry to learn that you are not feeling well. Why do you unnecessarily make your mind restless? It is not good to be worried; it does not help, rather, it hampers the work. When a person exerts himself to the utmost capacity with self-confidence and then surrenders to God — that is true resignation. 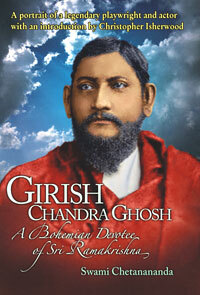 Otherwise, he who without making any effort verbally surrenders himself to God, is harbouring nothing but laziness. Those who are enthusiastic and active, only they get help from God and not lazy people. I just received your letter…. If you think a little, you will see that nobody can function for a moment without talking. If one does not converse with others, one surely talks with one’s mind. Thinking is nothing but talking to oneself. There is no escape from talking. Since this is the case, is it not better to chant the name of God than to talk about rubbish? When you are engaged in conversation with someone, you will have to talk on various topics, but when you are alone, why should you waste your thoughts on useless matters? It is better to think of the Lord. In order to be established in the recollectedness of God, one needs to practise japam. Japam means the repetition of the Lord’s name. 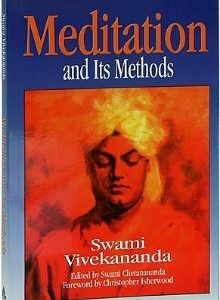 Meditation is higher than japam. The Master used to say, “Japam is better than ritual; meditation is higher than japam; and the person who is perfect in meditation reaches the state of liberation.” While practising japam one should think of God, considering the name and the person as identical. When one utters the name of a person, the form of that person manifests. The eternal One is within the heart, so one experiences bliss in meditation. Gradually when that feeling deepens, you will have realization. It comes slowly. Don’t expect it in a day. It is no small thing to get joy in meditation. If the desire for money arises in your mind, then discriminate in this way: What can money give me? Many have wealth, but are they happy? The Master used to say: “From matter comes material things. Matter cannot give you Satchidananda [Existence-Consciousness-Bliss Absolute]. One can buy food, clothing, and other things with money, but not God.” This is all for today.